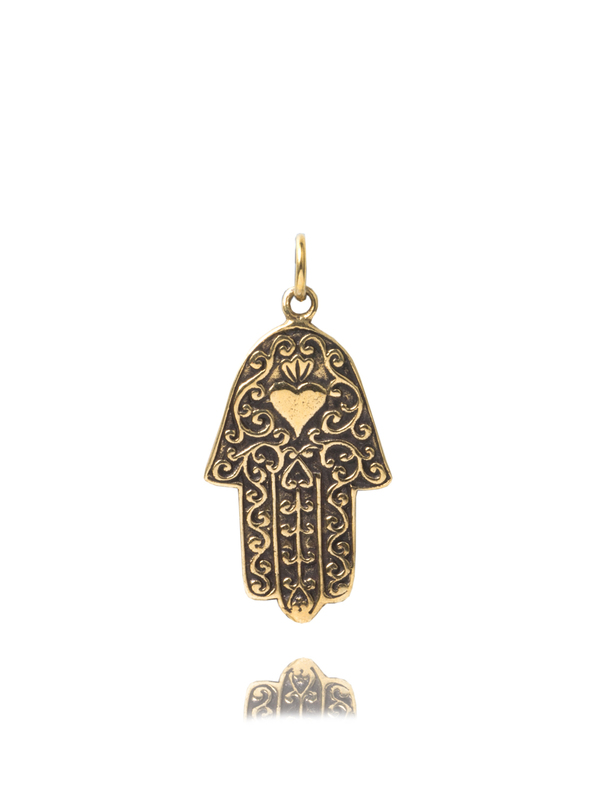 The hand of Fatima is always such a popular charm. It measures 2.75cm in length and is made of brass and has exactly the same detailing on the front and back. It therefore looks great on a charm bangle or because of its flat nature it works really well on a charm necklace.